Discussion in 'Gadgets and Consumer Electronics' started by TheMightyS, Sep 9, 2012. The 8X is expected to be unveiled during HTC’s press conference on September 19th, one week after Apple’s grand iPhone 5 unveiling. HTC is one of the Microsoft’s key mobile partners. The Taiwanese manufacturer is planning three Windows Phone 8-powered smartphones, which have been code-named the Rio, Accord, and Zenith. 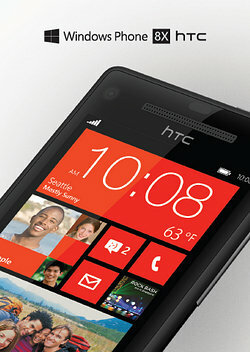 Accord will be the mid-range model and now the final name will properly called the ‘HTC 8X’.